Create a solar telescope, glow-in-the-dark slime, or a working volcano, all while avoiding zombies, skeletons, and creepers. 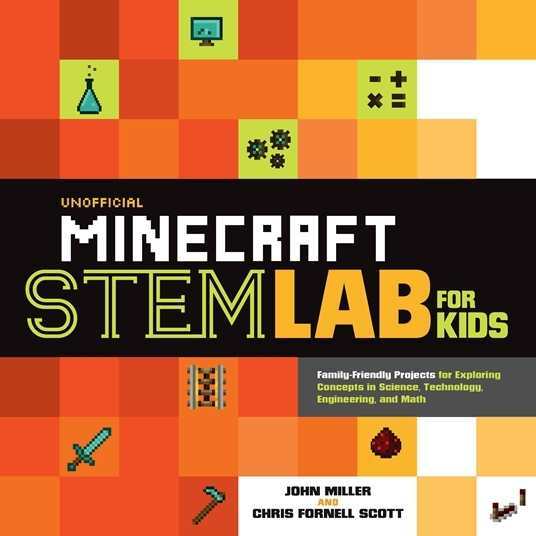 In this innovative and exciting book, gamers will explore the principles of science, technology, engineering, and math while navigating the wildly popular online world of Minecraft. Perfect for memorable family nights or sensational classroom fun, guided quests and labs encourage creative thinking and collaborative communication with dozens of activities designed to engage children, teens, and adults, both on- and offline.